Maybe you are just starting out in your career and are looking for guidance on how to take the next step. Or perhaps you have been working in a different capacity for a while and feel that you want to review the options available to you to work more independently. 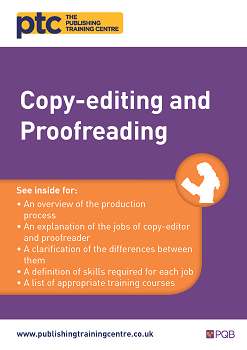 Whatever your circumstances, this guide highlights how copy-editing and proofreading fit into the production process; the key skills required for each and the differences between them; and guidance on how to get training in copy-editing or proofreading.